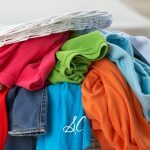 Have you ever felt like Sergeant Mom, making command after command, thinking you must micro-manage your family in order to get anything done? 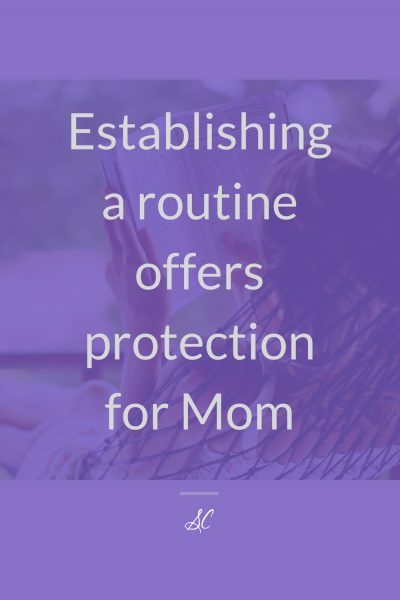 If you are a mom who has a tendency to micro-manage, you are probably overwhelmed with daily responsibilities and often at a loss to find a remedy for your challenging circumstances. And you suffer with what I call Myopic Paralysis (MP). You are so wrapped up in the demands of the moment, you cannot step back to see the big picture. Moms with MP react to their loved ones and resist the idea of change simply because they are too fatigued to figure out how to initiate the transformation. These moms may feel trapped and immobilized, powerless to make forward progress. I was once one of those moms. The cure for MP came slowly, but as I began to make tiny steps toward change, the effects were immediate and encouraging. 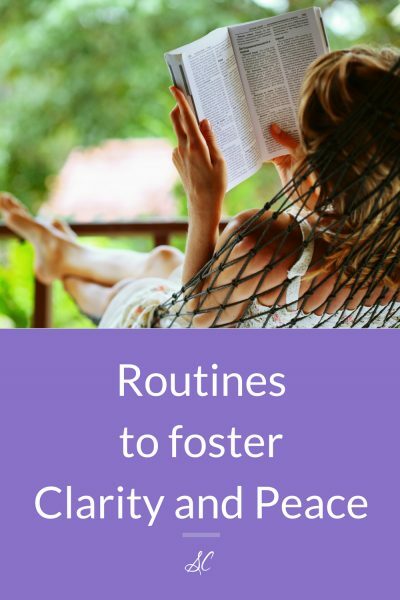 In Part 2 of this series, we will start working through the mental rehabilitation strategy that will empower you to overcome MP and start you on the road to clarity of vision and peace in your home. Establish a basic routine for yourself and your children. Healthy routines have a positive effect on your perspective and a profound impact on the behavior of your children. Instead of pursuing the perfect schedule for your home and homeschool, start by developing a basic routine for each day. By basic, I’m referring to only four major segments of the day. I used to laugh at the idea of getting enough sleep. Honestly, I used to laugh at the idea of getting enough sleep or ever having a moment to rest during the day. The thought was too far-fetched to grasp. And leisure? I had forgotten what leisure was! After running myself ragged on behalf of my children, I was too tired to care about cultivating my relationship with my husband. I also wasn’t growing personally, either mentally or spiritually. I felt as though I were hamstrung by lack of energy, but actually, it was from lack of knowledge and a wrong belief. 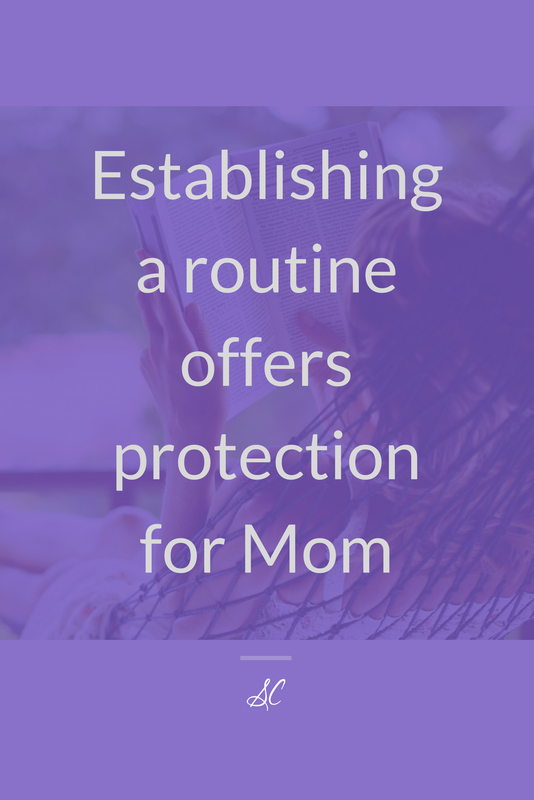 I learned that establishing a routine offers protection for Mom. In the majority of families, Mom bears most of the weight of keeping the home and of educating, training, and disciplining the children. Regular patterns of relaxation, rest, and sleep are essential for the health of mind and body for every family member, and especially for Mom. If these patterns are neglected, she will burn out. I felt guilty if I ever did anything for me. In fact, one day I realized that the clutter in the living room was all put away, dinner was in the crockpot, and I actually had twenty minutes to do something I wanted to do. But, as I stood in the middle of my living room, I couldn’t think of anything I wanted to do just because I wanted to do it. It was foreign to my thinking. Finally, I sat down at the piano. Pulling out some music with lovely melodies that weren’t too difficult, I enjoyed playing my piano, alone. In fact, I enjoyed it enough that I began to play for a few minutes most evenings after the children were all in bed. Now my adult children can remember falling asleep as Mom played the piano. 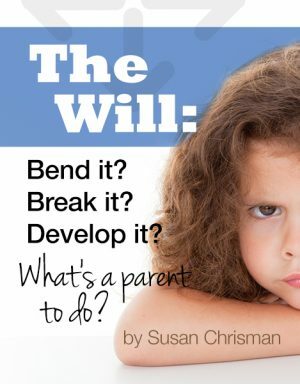 This was the beginning of my discovery that, just as I encouraged my children to learn and mature, I had to grow as a person, too. Not only was I setting an example for my children, I was enriching their health, their security, and their respect for me. Do you need a few minutes each day for everyone to rest quietly? Even if your children are too old for naps, they need a time to rest, perhaps sitting on their beds or a favorite chair and looking at books, reading, playing quietly with a favorite toy, or just thinking. The point is they are not active, but experiencing peace and quiet. Do mealtimes need to become more family oriented with everyone helping with prep and clean-up in some way? Even though they may have complained about having to clean the kitchen, I love the memory of my three daughters singing three-part harmony while the task was accomplished. Consider whether or not your schedule is so busy that family members have no time for leisure. Children especially, and adults, too, need time in which to choose something they want to do. Establish healthy, routine bedtimes for all the family. You can start today on your road to clarity and peace in your home. Begin with a simple, basic routine. 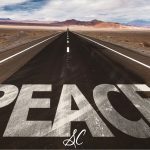 In my next post, I disclose the secrets to pursuing peace in your schedule and in your heart.